Although ideally suited to be Christmas ornaments these little buoys can add a touch of coastal Maine flair to any decor. 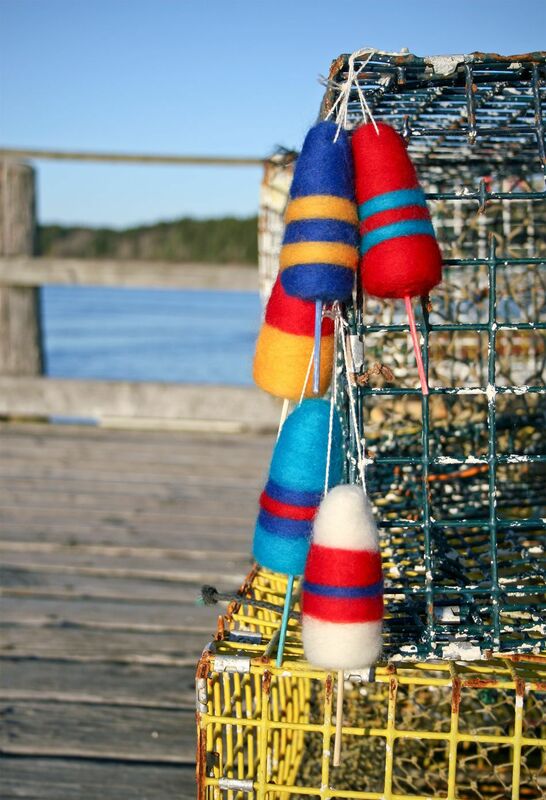 The color schemes of the buoys are used to identify traps, therefore each is unique to the lobsterman who uses them. Complete instructions with picture diagrams for making felted lobster buoys.